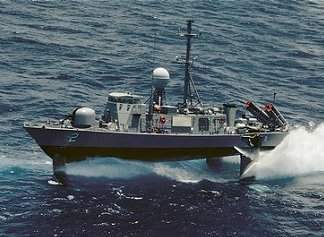 USS HERCULES was the second PEGASUS class hydrofoil boat. She was named for the constellation HERCULES, son of ZEUS in Greek mythology, and is the fourth ship in the US Navy to bear the name. 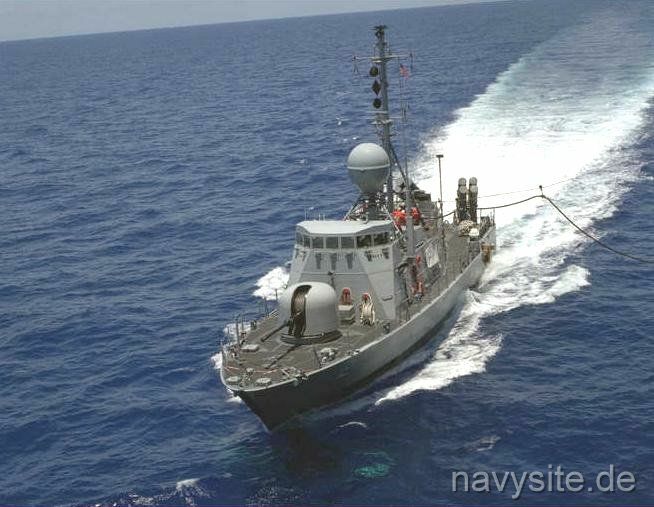 Last homeported in Key West, Florida, the HERCULES - as well as her five sister ships - were decommissioned and stricken from the Navy list on July 30, 1993. 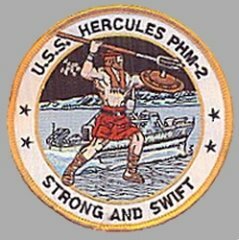 HERCULES was sold for scrapping on August 2, 1996. This section contains the names of sailors who served aboard USS HERCULES. It is no official listing but contains the names of sailors who submitted their information. 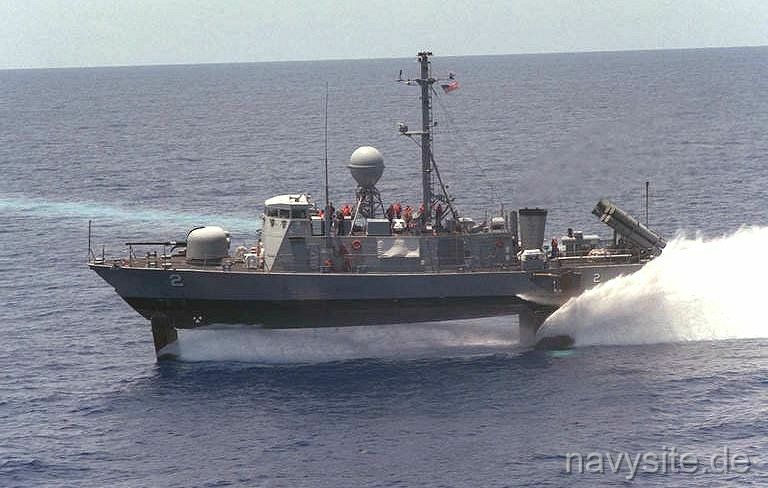 USS HERCULES was launched on April 13, 1982 in Seattle, WA as the sixth and last patrol hydrofoil missile (PHM) designed and built by Boeing Marine Systems. HERCULES has additional modifications and improvements not incorporated in the previous five. 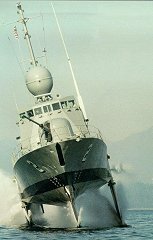 Since her January 15, 1983 commissioning, USS HERCULES has compiled many notable achievements which include: With Commander, Second Fleet embarked, HERCULES was the first production PHM to conduct a live harpoon shot and did so with the proficiency to score a direct hit. While conducting law enforcement operations with the United States Coast Guard, HERCULES was instrumental in the successful interdiction of a vessel carrying over 32.5 tons of marijuana, and in Dec. 1987 the seizure of more than 1,000 pounds of cocaine, the largest drug seizure by a U. S. Navy ship. 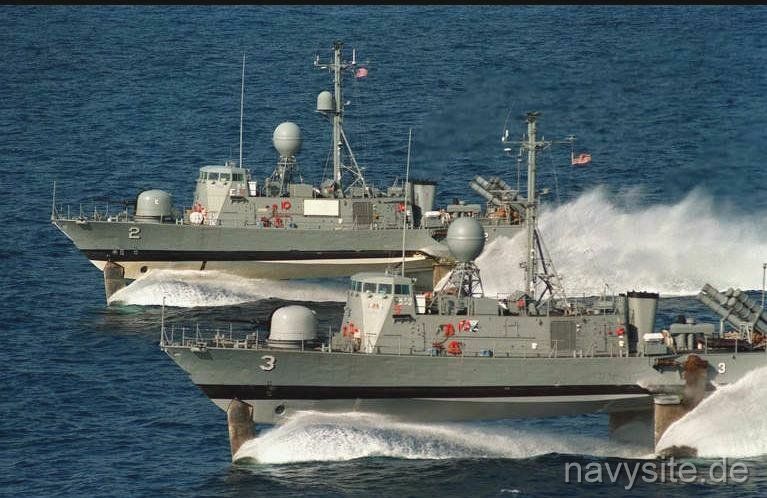 As a result of these and other drug interdiction efforts, the ship has earned the Coast Guard Unit Commendation, the Coast Guard Meritorious Unit Commendation and Coast Guard Special Operations Service Ribbon. HERCULES has participated in numerous fleet exercises which include Solid Shield 87, FLEETEX 1-90, UNITAS 87, SOCEX 2-89, MEFEX 3-90, CORTRAMID 89 and 90, and several USCG drug interdiction operations. Noteworthy guests from the Naval War College, the U.S. Naval Academy, the People's Republic of China, as well as guests from many ports on both coasts have frequented the decks of the HERCULES. Visitors of particular mention include ADM F. B. Kelso (later Chief of Naval Operations), COMSECONDFLT, COMNAVSURFLANT, Chairman of the Finnish Defense Forces, Commander in Chief of the Royal Swedish Navy and Representative Richard Gephardt, House Majority Leader. Other achievements include the Atlantic Fleet Surface Force Safety Award for 1985 and 1989 and the Atlantic Fleet Golden Anchor Award for retention in 1985. HERCULES is the first PHM to earn either of these two awards. 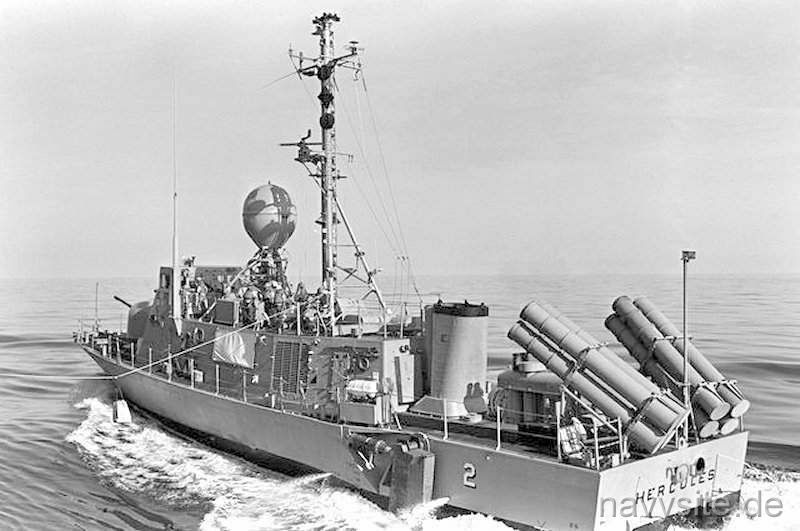 Additionally, over five competitive cycles and seven consecutive years since commissioning (1983-1990), HERCULES has demonstrated the proficiency required to earn departmental awards for anti-surface warfare, electronic warfare, navigation, deck and seamanship, damage control, mobility, communications and retention. HERCULES was awarded the Battle "E" for the 1988 competitive cycle. 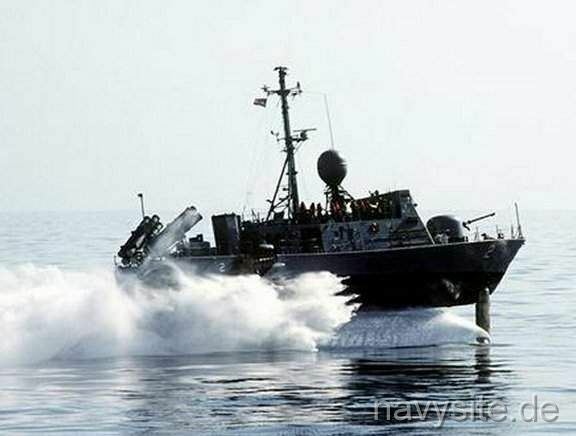 Back to Patrol Combatant Missile (Hydrofoil) List. Back to Ships List. Back to selection page. Back to 1st page.